Eagle Glow in the Park | Eagle Idaho Real Estate | Think Alei. The City of Eagle‘s first ever “glow-in-the-dark-themed fun run” is happening this Saturday, March 23rd. 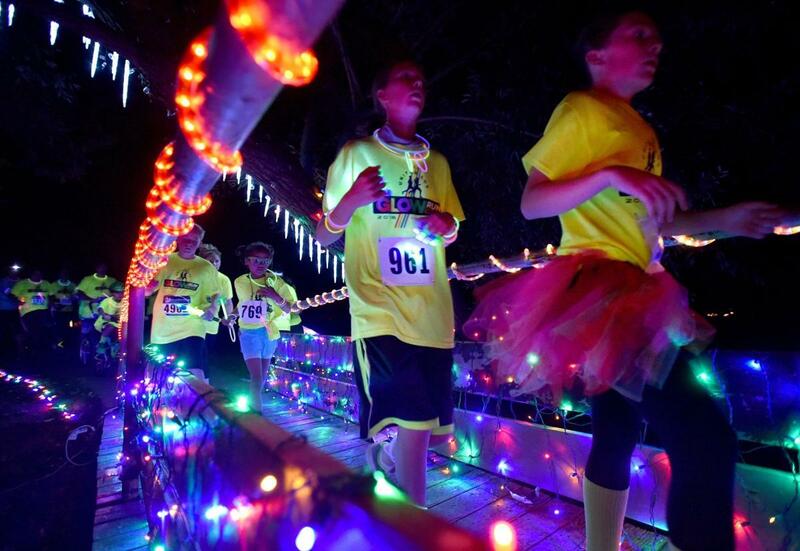 The event will feature LED lights of all kinds, glow sticks, a live DJ, food and drink, and prizes for the top runners. This is an all-ages family event at Stephen C. Guerber Park. The Kanak Attack food truck and Crescent Beverages will be on site filling all your food and beverage needs for the evening. I’m looking forward to the “shines the brightest” contest where someone will win a chance at some new running shoes, a gym membership, and other donated prizes. Depending on your skill level, I hear there will be 1-mile and 2-mile runs, all within the boundaries of the 15-acre park. Registration information can be found on Eventbrite or there will be same-day registration starting at 7:00pm. The first run starts at 8:00pm with categories including youth, adult, and themed teams. Title sponsors are Eagle Ultimate Fitness, The Pulse Running and Fitness Shop, and of course The City of Eagle. Guerber park has an interesting history. It was built on a former gravel pit and built out over several phases. The construction was started back around 2003. The first phase was about 10 acres and included the three ball fields, a perimeter trail, picnic areas and basketball courts, and a first-generation parking lot. Later phases included the picnic shelters, a hillside amphitheater, the splashpad playground area, walking trails, rest rooms, and the enhanced landscaping package. Something interesting – much of the quarried rock used in the construction of the park was taken right from the site itself. The Eagle Glow in the Park fun run will be a great way to get people in our community involved in a fun filled physical activitiy. I will be there and I hope to see you too. Looking forward to it becoming a yearly tradition.